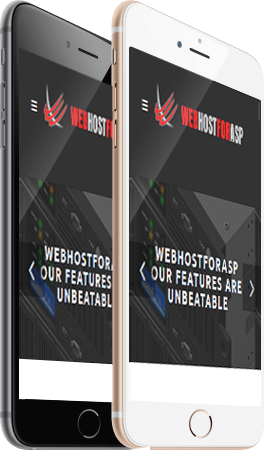 Windows Hosting support ASP.NET and PHP, While Linux Hosting came with affordable price . Make your own business using our Reseller Hosting. more.. Create your own amazing website just in a minute. more..
You only need email services with us? We now provide email hosting. more.. Transferring from another provider? No problem! We will help you to move your websites from your current provider for FREE. DotNetNuke, Windows SharePoint 2010, Community Server, PHPBB or any custom code Websites to us today. No downtime guaranteed! Creating a new web site? All our product plans come with the Latest Windows 2012 Server installed and support ASP.NET 4.5.2 and ASP.NET 5.0. You can choose in Control Panel which version of ASP.NET you want for your websites. 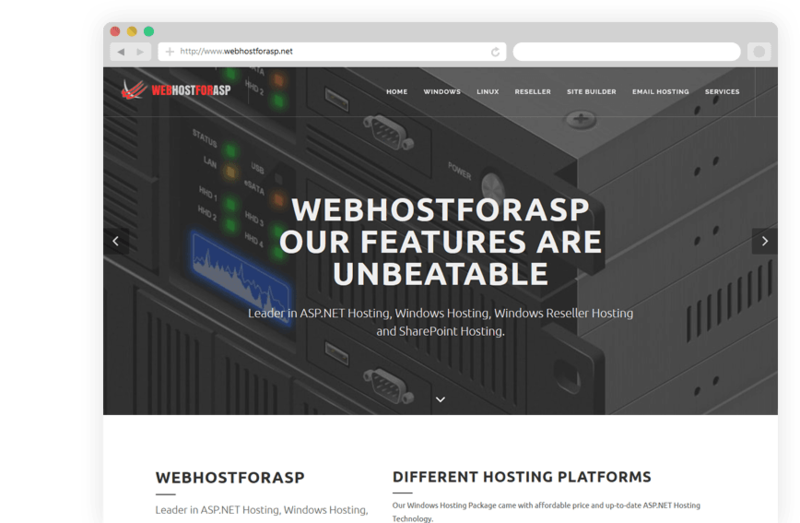 Show what our Customers say about WebhosforASP.NET products and services. Thanks to our clients! Easy installation, a lot of cms choices, good services, good support, smart, I use their services for almost 2 years, I see they are gradually improving. Great hosting service and their customer support is absolutely the best. They have the largest selection of components that I've seen at any hosting company. Their prices are reasonable and the uptime is excellent. 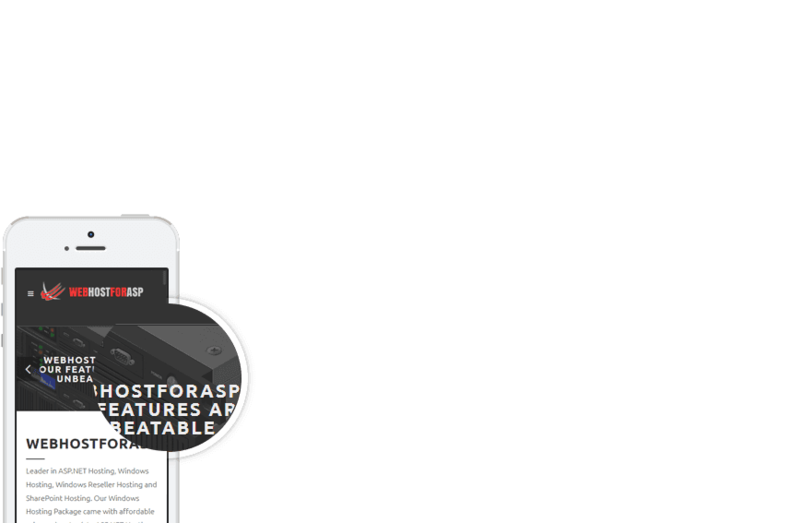 I have been very satisifed with every aspect of dealing with webhostforasp. Have using thier service for the past 1 year. In my experience of their technical support, they are really good in to this, they can solve my issue within an hour. For their uptime guarantee and reliability was great, for the past year i have not. So far so good for my live test, hosting my asp.net umbraco site. i will surely upgrade to paid plan after this trial end since i also need the mail function.